According to the American Heart Association (AHA), women should consume, on average, 25 grams of sugar each day. This morning, I consumed half of the daily suggestion in my small cup of supposedly healthy yogurt. Regulating your sugar intake can be more than challenging, especially when most of the food you buy at the store seems to pack in and hide sugar in all of their products. Continually exceeding the intake of sugar your body uses results in unfortunate yet common health problems, including diabetes, obesity, and heart disease. High-sugar diets even increase the risk for heart disease in healthy people. Getting to know your body, figuring out exactly how much sugar you should eat, and watching how much sugar you put in your body are the first steps to maintaining a healthy sugar intake. 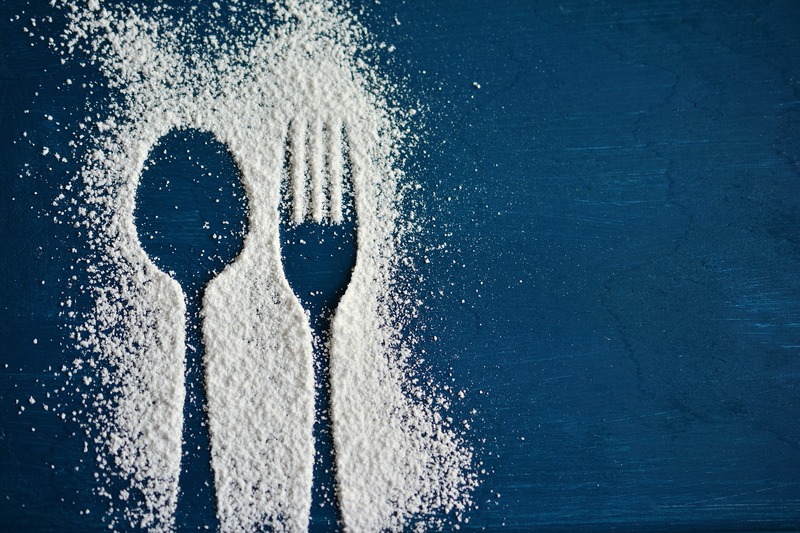 Here are some other ways to cut excess sugar from your diet. As with all health concerns, the best place to start is consulting with your doctor, especially when discussing any health problems influenced by sugar intake. Of course, everyone should focus on a healthy lifestyle and diet to regulate how they feel and their quality of life, not how much they weigh, but obesity has become a widespread issue in America. Some health professionals can help individuals reach their health goals, like nutritionists helping patients with their diets, and FNPs helping in the fight against obesity. After figuring out how much sugar you should consume on a daily basis, you will need to figure out how much sugar is in the foods you eat. You can start by reading and understanding the nutrition facts on any food you buy at the grocery store. In regard to sugar, this can be tricky as companies frequently label sugar under different names and label unhealthy foods as healthy. Sugar can also be hidden in sports nutrition bars and protein powders, which can be frustrating if you are eating them to embrace a healthier lifestyle. Though some powder proteins are low in sugar and can even help those limiting their sugar intake, not all exercise supplements are as healthy as you might think. If you’re not careful, you may be negatively affecting your hard work at the gym by putting harmful foods in your body. In addition to food, it is important to watch the sugar in what you drink; it’s well known that many drinks contain an unsightly amount of sugar. From sodas, to teas, to fruit juices, one small bottle can contain over twice the recommended intake of sugar. The best way to eliminate this problem from your diet is to swap the sugary concoctions for water. This will help you make sure you are getting enough water into your diet and reduce the risk of dehydration. Of course, you don’t have to completely give up juices and teas. You can still enjoy these, but it’s best if you make them yourself. This will allow you to control how much sugar you put in them — it’s best if you can create a delicious drink without any sugar at all. You can alternately flavor your tea with some cinnamon, or maybe a little bit of honey. Just make sure to be careful when making your own fruit juices. Though fruit is an important part of a healthy diet, it can quickly turn it into a problem when juice is concerned. Take orange juice, for example. When you eat an orange during the day, you will eat one, maybe two; but orange juice usually takes up several oranges for a smaller serving. Juicing squeezes out the sugary water from the fruit, leaving the healthy fibrous content out of your drink. If you make your own juice, keep in mind how many fruits per serving will be in the drink. You can use water to reduce the amount of sugar per serving and add vegetables like carrots, spinach, and wheatgrass to keep it healthy. In general, the best way to monitor the foods you eat is to make them yourself. Though this may seem like a lot of work, there are many ways to make it easier, like planning your meals every week and freezing them. Listed below are some simple recipes that are low in sugar and use simple, healthy ingredients for a balanced diet. This substitute for regular pizza is perfect for pizza-lovers working on cutting out sugar from their diet. Many pizzas have quite a bit of sugar, not only in the crust but in the pizza sauce as well. The cauliflower crust for this pizza only has 1.5 grams of sugar per serving, which is perfect for a low-sugar diet. Keep the pizza healthy by making your own sauce and using only fresh ingredients. You can substitute cauliflower for a variety of foods, not only pizza crust, but burger buns and tortillas as well! Zucchini noodles have become one of the most trending foods for a healthy diet. It is easy to create healthy meals with them, such as lemon garlic chicken zoodles or avocado pesto zoodles. You can make your own recipe or customize your favorite Italian meal by substituting or moderating the ingredients in it. Quinoa is a versatile ingredient to use for wholesome cooking. It’s great source of protein and can replace rice in any dish, be added into any salad, or can be the base for a great dish. You can even take your favorite burrito, and turn it into a fresh and delightful quinoa burrito bowl. Just add fresh vegetables, such as onions, avocados, corn, beans, and tomatoes, top it off with a little bit of lemon, spices, or a healthy sauce, and it makes for a great meal. In general, try using less ingredients to make simple dishes. You can make your own flavors using the spices you have in your pantry. To add a sweeter taste without using sugar, try cooking in coconut oil, using a bit of honey, or incorporating some fruit into the meal. Mango and pineapple in particular can make great additions for dishes. Take control of your health by monitoring your sugar intake and seeking out healthy alternatives. With planning and creativity, cutting excess sugar from your diet can be a breeze. Previous articleIs Turmeric the Next Obstacle in Our Struggles Against Lead Contamination?